More than 48 million Americans suffer from some degree of hearing loss. The likelihood of developing hearing loss increases as we age. One third of Americans over 65 have hearing loss; the rate increases to two thirds for those older than 75. 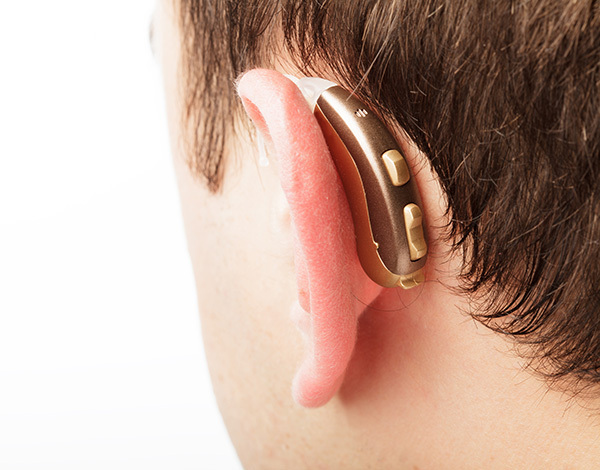 When you finally get your hearing aids, it is important to take care of your hearing aids. Caring for your hearing aids and cleaning your devices on a regular, daily basis will help keep them functioning properly and may prevent the need for repairs. Focus on three key areas of the hearing aids when cleaning the devices — the microphone, shell and receiver. The microphone is incredibly delicate and needs the most attention while cleaning. First and foremost, do not poke anything into the microphone port. Turn the hearing aid upside down so the microphone port faces the floor while cleaning. While cleaning, debris will fall out of the microphone and not into it. Use the hearing aid brush and gently brush across the microphone port to sweep away any debris. Never use a wet cloth or any chemical cleaners on your hearing aid. Use a tissue to wipe the device down. For stubborn wax, use your hearing aid brush to pick at and sweep debris away. The receiver is the hole located in the shell of the hearing aid with the rubber tube around it. This tube is responsible for directing the sound from the speaker to the ear. Insert a wax pick into the opening of the receiver to scoop out any earwax built up in the hole. Be gentle when cleaning out the receiver, as too much force may cause damage to your hearing aid. Keep in mind that hearing aids require professional maintenance twice a year. If your hearing aids are causing feedback or static even with daily maintenance, consider contacting your hearing healthcare professional for additional support and advice. Caring for your hearing aids doesn’t have to be a difficult process. By cleaning your hearing aids daily, you’ll increase the longevity and production of the device.